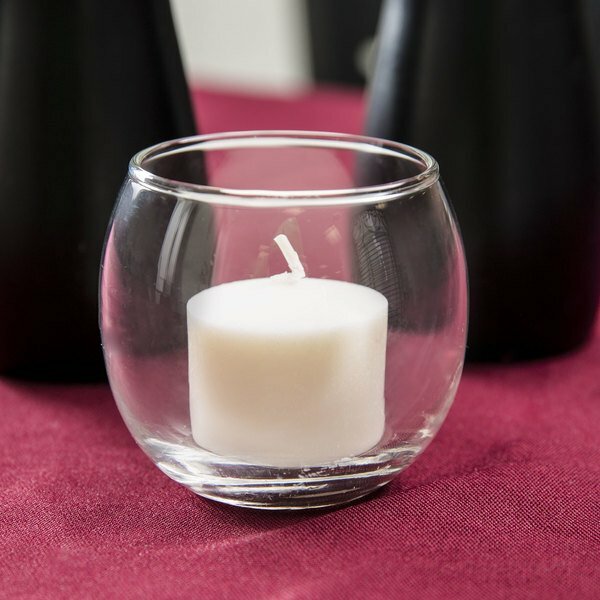 Set an intimate ambiance in your establishment with the help of this Sterno Products votive candle. 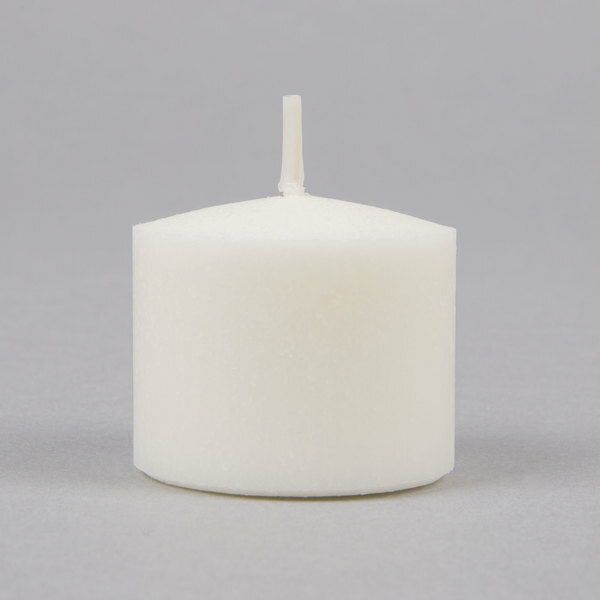 This candle boasts an ample 10 hour continuous burn time, perfect for illuminating dimly-lit dining rooms or lounges, or for your day-long catered events and weddings. Once the wick is ignited, it produces a warm, golden flame that enhances the look and feel of any area. For best results, place it in a candle holder for added aesthetics or use it with a butter warmer to serve melted butter alongside orders of fresh crab legs and lobster. This candle's traditional wax composition burns cleanly and is unscented, promising not to overpower the mouthwatering aromas of your dishes when placed in front of your patrons. 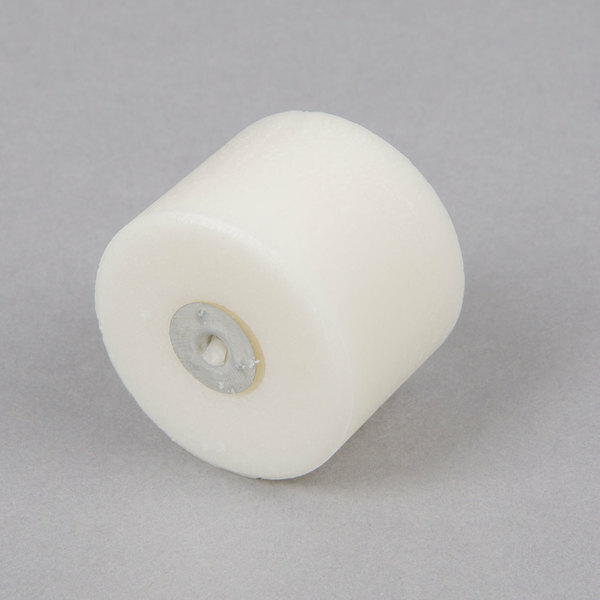 Plus, its cream color blends seamlessly into virtually any setting, allowing guests to appreciate the soft lighting. Our daughter had the lights turned down during the wedding ceremony, so we took all sorts of small plates and jars and sat these on the stairs that circled up on either side of the huge fireplace where they were married. It was so easy and we could get it done ahead of times because they last 10 hours. These candles are great votives - though they seem to actually last closer to 8 hours rather than 10 hours. They're the same quality as what we bought from our food purveyor, but at about 50% of the price. Burn a bit unevenly, but better than any other 10 hour candles we've found. Look great and truly give us our 10 hours of burn time. These candles are great! 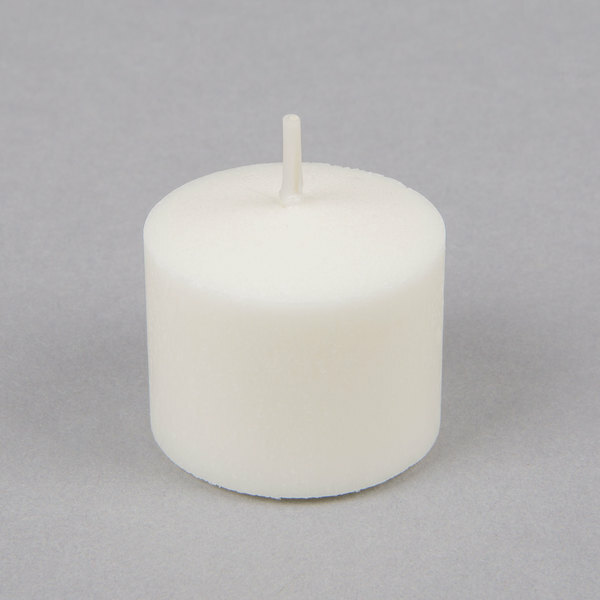 I was looking for small candles to light at my wedding during the reception at the tables. I was worried that regular tea lights would not last long enough for the whole night, so when I found out that these candles burn for up to 10 hours I knew they would be perfect! Package came fast, and without damage, I would highly recommend these if you are looking for a long lasting candle for any occasion! Great candles to use in our votives at our bar. I have searched and searched for the most affordable prices and these are the best I have found so far. The quantity in the package is great as well so it does not to be purchased too often. Thanks! 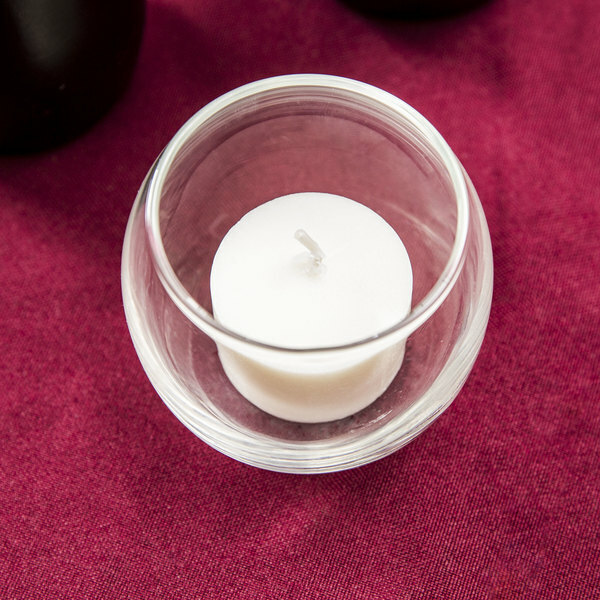 I love putting out votives of unscented candles for parties and special events. These have a great burn time and are an excellent value for the cost. perfect little candle for the restaurant. its great bc you can relit this so many times and each time its just as bright as the first time. Wonderful product that is much better than other leading retail brands. A sterno product that burns longer than the stated 10 hours and can be used for a myriad of things. Great cost, wonderful product! Love these sterno 10 hour candles. The burn for the amount of time listed which is really great. Great that they come in a large pack too. We easily put these in candle holders of our choice that match our decor. They are easy to light. The candle light is bright and perfect for an intimate table setting. We change the candles after two 5.5 hour shifts, they hold true to the 10 hour standard. 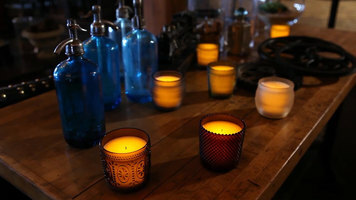 These candles are great for our bar and tables. They last for a very long time. We will continue to purchase and his highly recommend. These candles are sold at a steal price, it's about 13 cents a piece and can last for 10 hours of dinner service. thats what we call efficient. This candle does what it says it's going to do- it's a 10 hr votive that stays lit for the duration of our dinner service (5pm-2am). But haven't actually tested it for 10 full hrs. Happy and I'll purchase again. These candles are long burning and were great in our votive holders for our Run for the Roses Wine Tasting on April 30, 2010. They have no scent and burned nicely in the glass holders. Good price too! Save $3.20 with our Recommended Product! 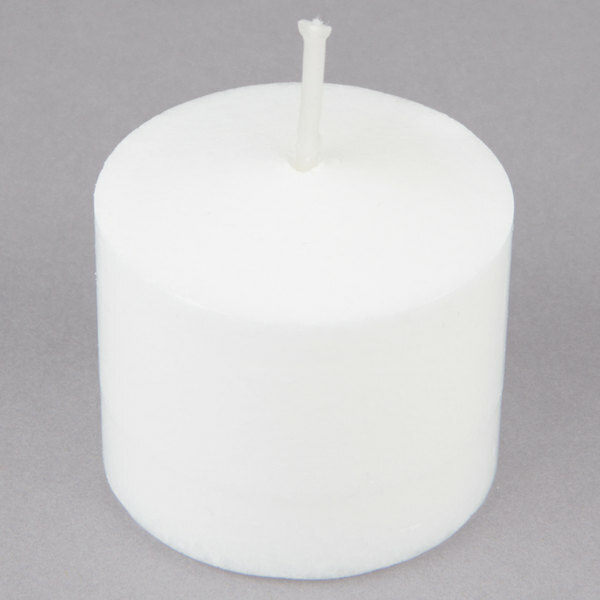 Check out these Leola 10 hour white votive candles instead! Featuring 10 hours of continuous burn time, these candles will produce a warm, golden flame that enhances the look and feel of any area. This is a great alternative at an affordable price!